This drum has sold out. Please contact us and we will see if we can acquire another for you. 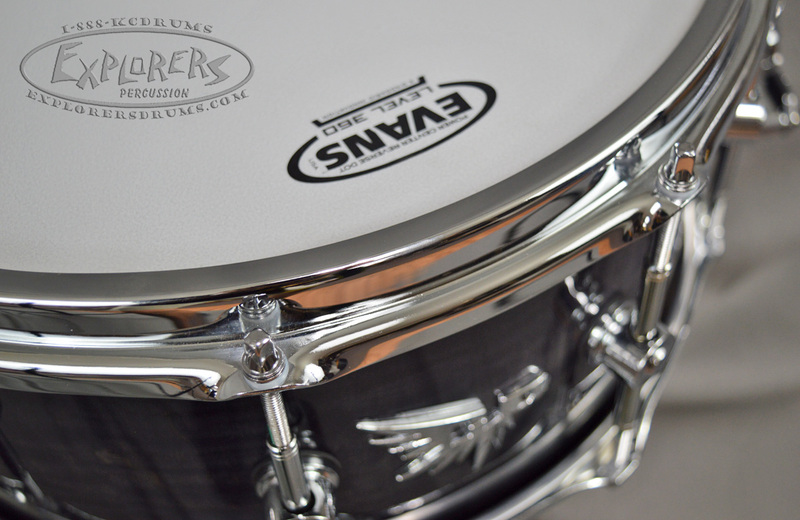 Archetype Snares were designed with one major factor in mind...VERSATILITY! 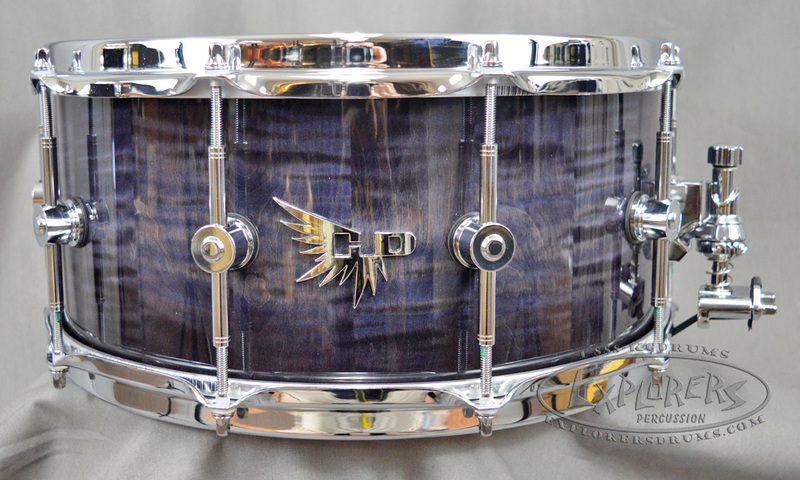 These snares are arguably the loudest, most sensitive, and tonal wood snares that you will ever hear. Every Archetype Series Snare comes with a laundry list of high end features that all work together to make what we believe is the best sounding, best looking, and most versatile snare on the market. Check them out below! The foundation for the drum is the 14" wide by 6" deep by 1/4" thick solid stave shell. The 6" depth allows the drum to tune well in the low, mid, and high register. 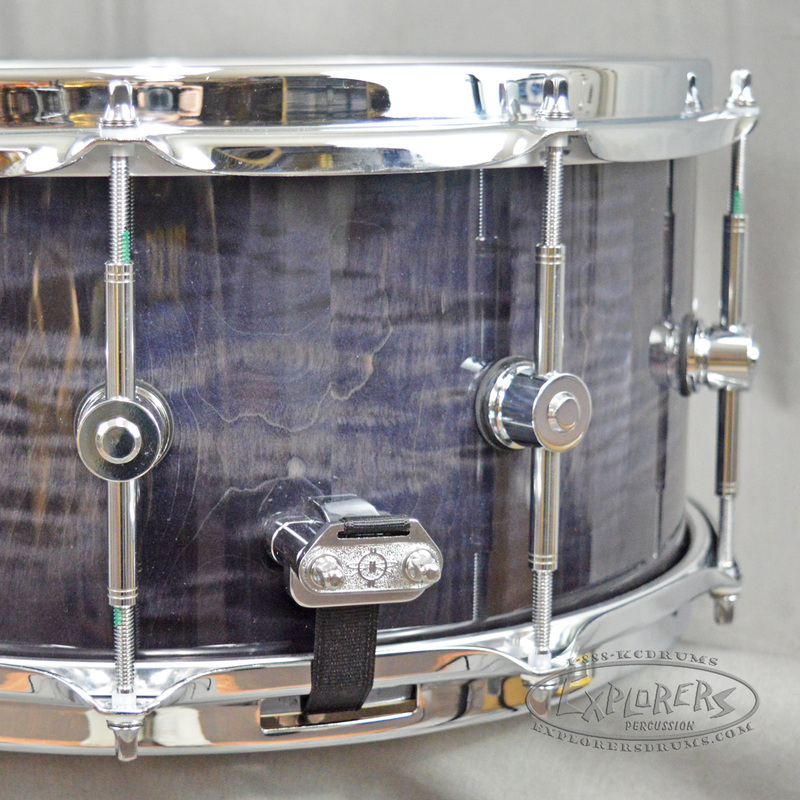 6" deep snares have become very popular over the past several years for those reasons. The thin shell wall allows the drum to be open and resonant with a very large tuning range, and because the shell is solid stave, the sensitivity, responsiveness, projection, and tone are all as good as it gets. Archetype snares and ktis are available in two types of finishes, our Mirror Gloss finish and Satin. The high gloss finish you see is not a "lacquer" finish, it is actually a polyester finish. True lacquer finishes are quite soft and can damage very easily. We use polyester for several reasons. It is very hard, so it is much more durable than lacquer, and the mirror gloss shine that it produces can't be beat. Admittedly this stuff is extremely expensive and difficult to work with but HD is all about the best, which meant polyester was the only way to go for our gloss finishes. 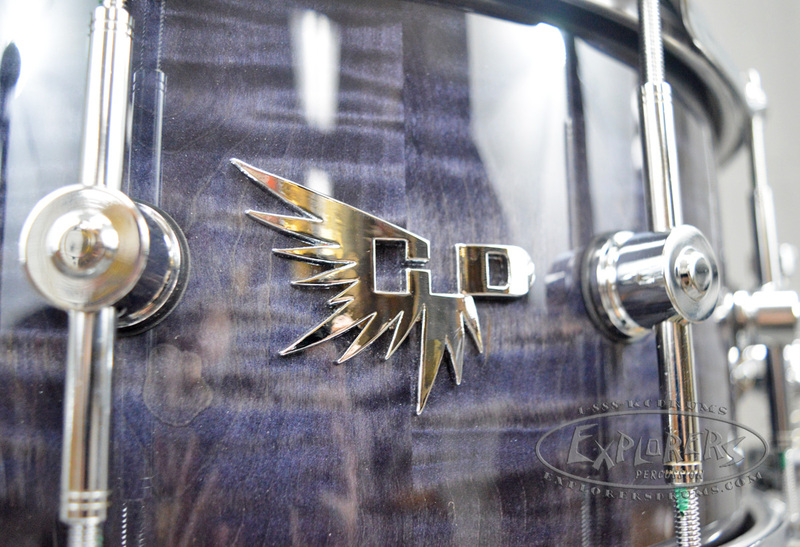 Our satin finish gives the drums a classy vintage vibe and is also not made with traditional lacquer. 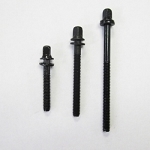 It is made from a much more durable finishing product, but we can't give away the secret of exactly what it is. 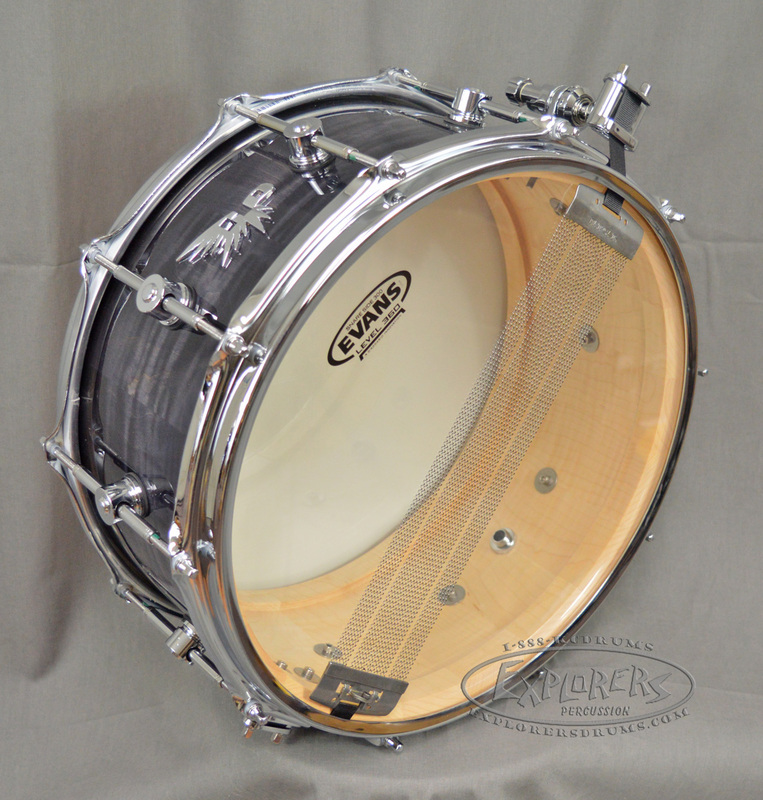 Every Archetype snare is equipped with the S-Hoop on the top and bottom. S-Hoops bring the best aspects of flanged hoops and die-cast hoops together. They are rolled steel, like flanged hoops, so they are naturally resonant and allow the drum to remain very open and full bodied. They are also rigid like a die-cast hoop, so they generate loud cracking rim shots and cross sticks, but don't weigh down and choke the drum like a die-cast hoop would. Many major brands are trying to mimic the S-Hoop with their own versions, and for good reason, but the S-Hoop still remains the best. The FatCat Dual Adjustable Wires enable you to acheive just about any snare sound you want without having to change wires. 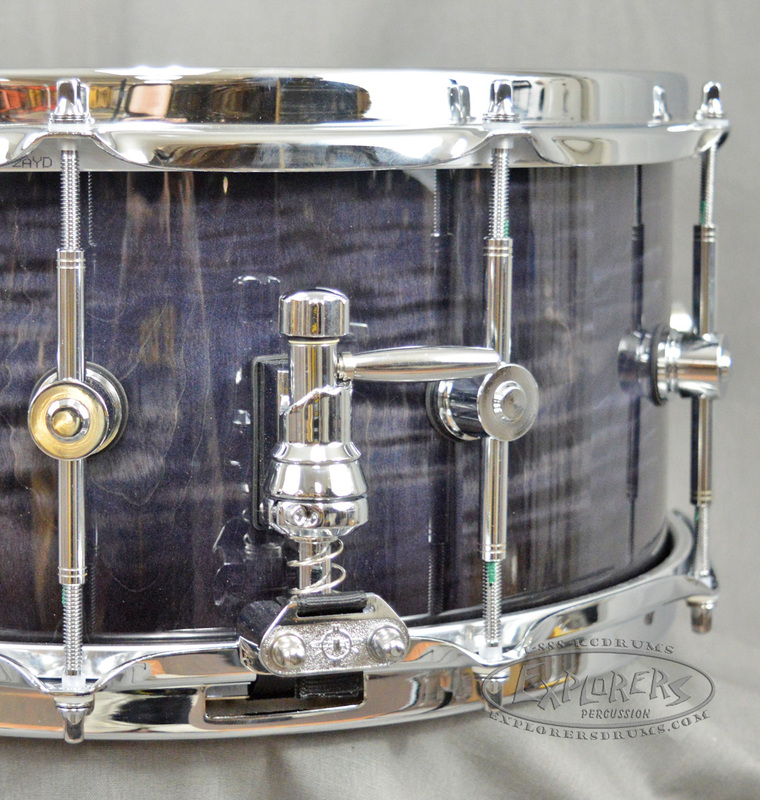 This 24 strand carbon wire snare unit allows you to adjust the center 12 wires independently from the outer 12 wires. This makes it possible to tighten all of the wires with the strainer adjustment to get a tight snap sound, and then slightly loosen the middle 12 wires so snare remains sensitive to ghost notes and light rolls. You can finally have a tight sounding and sensitive snare sound at the same time! SLEEVED WASHERS are a Hendrix Drums product that has exploded in popularity over the past year. They may be small but they make a big difference. They eliminate all metal on metal contact between the hoop and tension rods, produce smoother and more accurate tuning, enable lower tuning without any “rod rattle”, protect the chrome on hoops and rods, and reduce backing out of tension rods so the drum stays in tune for longer. 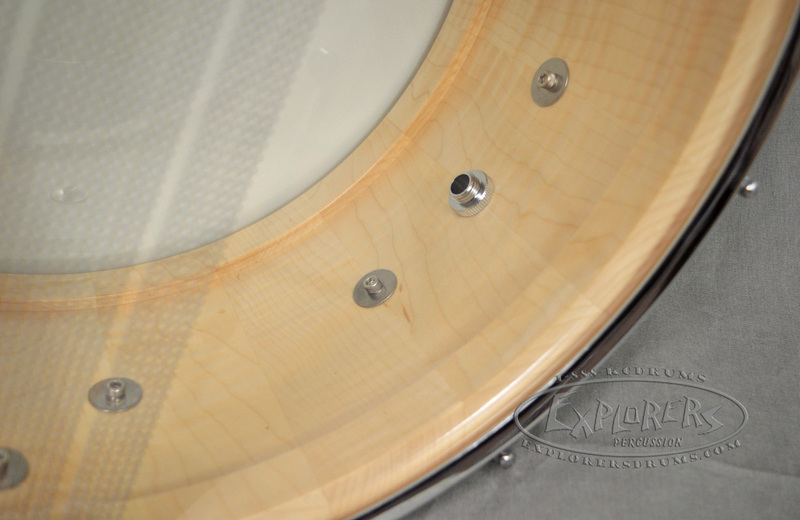 SLEEVED WASHERS come as standard on all Archetype Series drums.